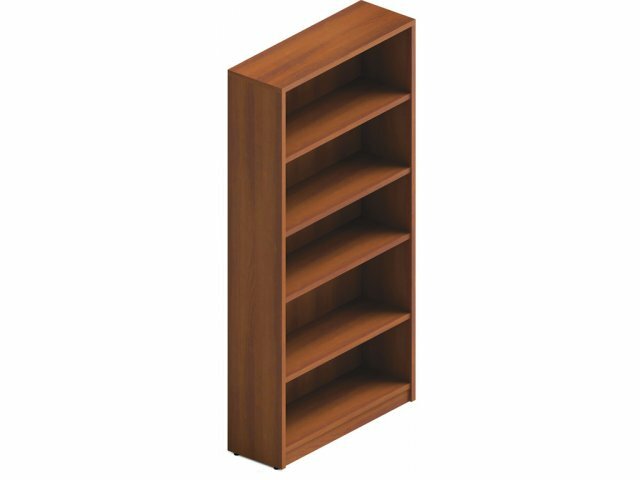 Keep client binders and reference materials stored in your workspace on the Adaptabilities Office Bookcase. 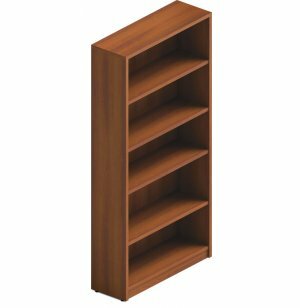 This bookshelf has a number of adjustable shelves so you can accommodate books of various sizes. The Adaptabilities office furniture collection by Global provides the ultimate in flexibility and modularity. These office desks, bookcases and file cabinets will help professionals give it their all throughout the workday. With a complete collection to choose from, you can match a whole workspace, floor or company. The rich colors of Adaptabilities Office Desks coordinate easily with any office decor. All surfaces are constructed from Global's exclusive premium grade, high-performance laminate. Matching 3mm PVC edge banding provides an appealing look from every angle. 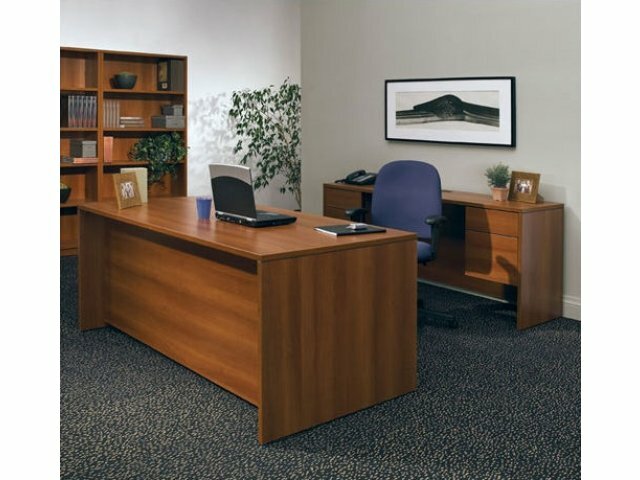 This office furniture series will give you the stately elegance and practical functionality you desire. Custom Fit: Includes one fixed heavy-duty shelf and 3 adjustable shelves. Strong Materials: Tops are 1"-thick with matching 3mm PVC edge banding for extra reinforcement. Sleek Surfaces: Global's exclusive of premium grade, high-performance laminate makes all surfaces both tough and attractive. Great Drawers: Drawer fronts are edge-banded with side-pull opening pedestals and standard pedestal locks. User-Friendly: File drawers feature triple progressive ball-bearing Waterloo suspension for smooth opening. Note: Non-quickship colors are custom-made and orders therefore cannot be canceled or returned.